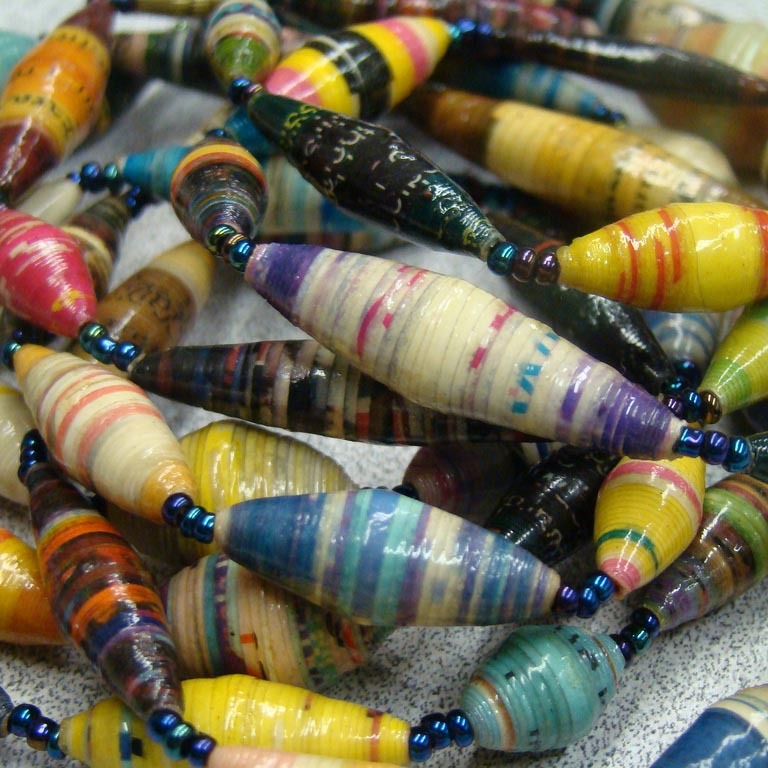 Fine Arts Center Blog: Fun with Paper Beads: this Saturday! 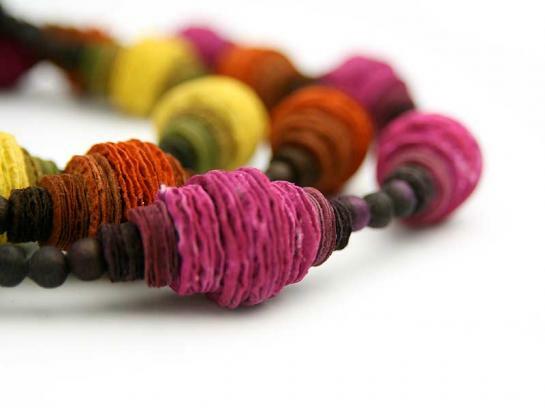 Fun with Paper Beads: this Saturday! It not too late to register for the Fun with Paper Beads Saturday morning workshop at the Bemis School of the Art! Just think—when Saturday night rolls around, you'll have custom-made, 100% recycled, beautiful beaded jewelry to wear out or share with friends. But more than that, this one-day workshop will provide you with several creative techniques that you can easily implement outside of the classroom. By the end of the three-hour interactive workshop, you will know how to control bead shape and size and create shinny finishes that will endure over time. 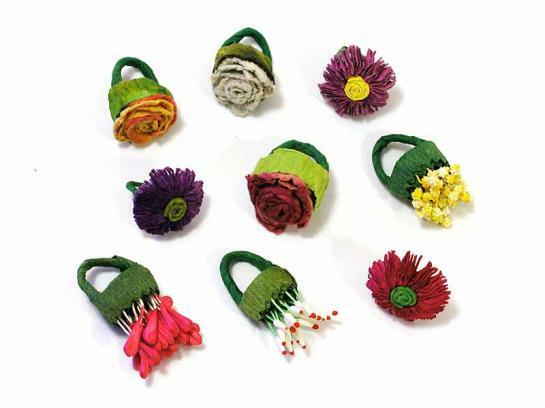 After class ends at noon, swing by the FAC galleries to view some of the incredible and intricate beadwork exhibited in Honoring A Legacy. 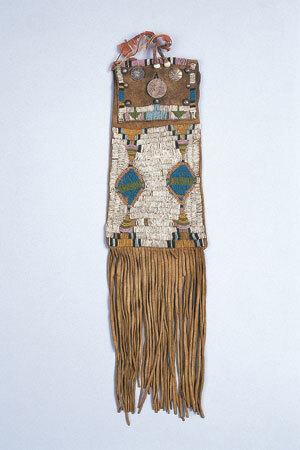 This exhibition, part of the museums permanent collection on the first floor, includes a variety of adorned Native American clothing, moccasins, weapons, and tools. 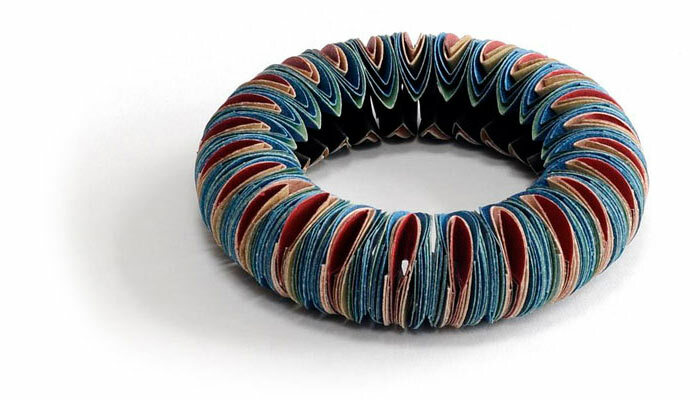 And who knows, with enough practice, detail and creative focus, you could design contemporary paper works like Dutch designer Nel Linssen or South American artist Ana Hagopian! 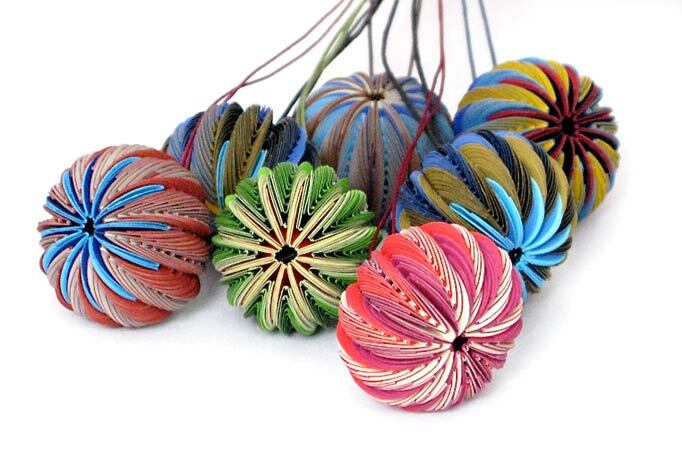 Pendants, Plastic Coated Paper by Nel Linssen (2010). Bracelet, Paper by Nel Linssen (2003). wow, these beads are adorable.. and so much fun to make! thank you! NEW Acquisition: Stan Wenocur's "Silt Pond"